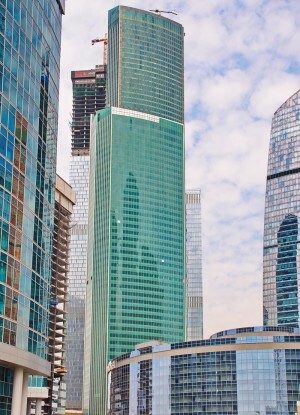 Located in Moscow City, a newly established central business district, Eurasia Tower is supertall building among cluster of Moscow’s tallest buildings constructed collectively to create a brand new skyline on the city’s east side. 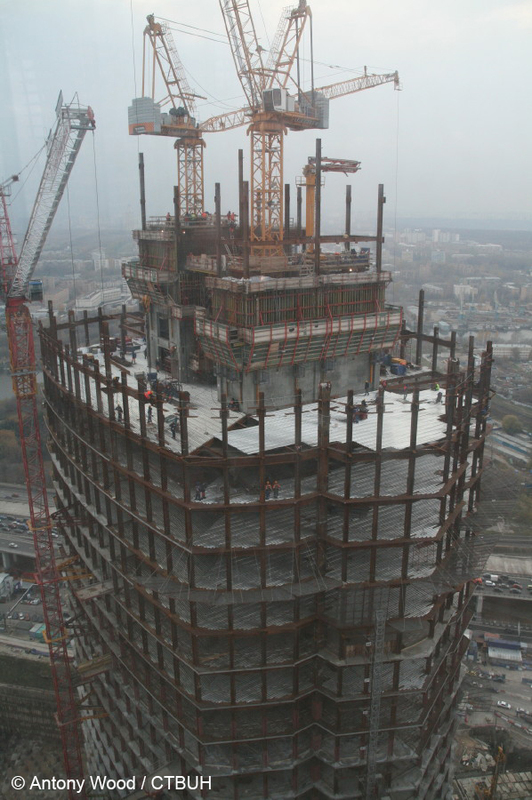 Eurasia Tower, also known as Eurasia during its design phase, was the first composite structure to be constructed in Russia utilizing a reinforced concrete core with a perimeter frame of steel. The structural design allows for column-free interior spaces ideal for offices which make up a significant portion of the building’s programming. The building features a bowed exterior made up of closely spaced steel columns which sit upon a belt truss serving as a load transfer for the base of the tower to feature an open lobby on the ground floor. The tower is comprised of 50 floors of offices and 20 floors of luxury apartments with their own amenity space featuring a pool and gymnasium on level 50. The bright green curtain wall facade transitions from fixed windows through the office floors to operable windows for the residences. At the base of the tower is a podium structure containing a 149 room hotel, boutiques, restaurants, bars, parking and a casino spanning 3,000 square meters . 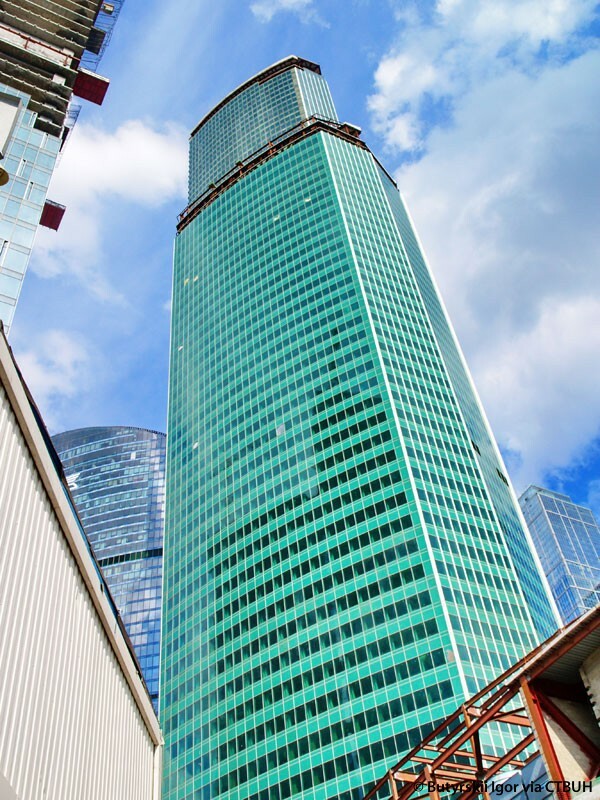 The building then stretches 5 stories below grade across a large site area that is far larger in size than the tower’s footprint. 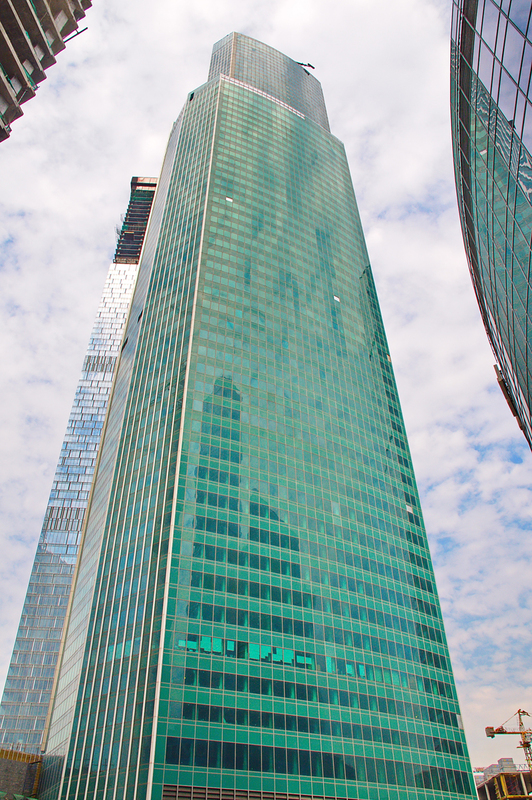 The building features underground connections to the neighboring buildings of the Moscow City district as well as the Moscow Metro network. 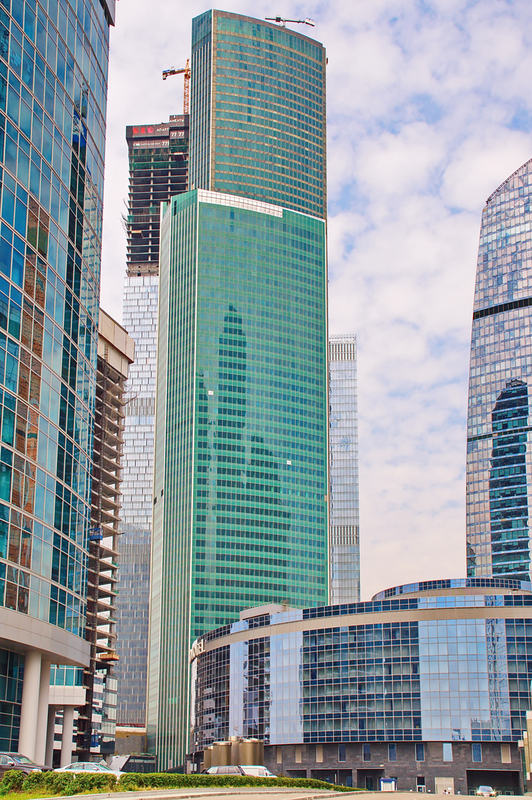 The location near the 3rd Ring Road not only further reinforces Eurasia Tower’s connectivity to the greater region, but also ensures the tower will remain a highly visible component of Moscow’s tallest skyline cluster.